In this file photo, Judge J. Bonner Dorsey listens to arguments during the Mission election contest trial, challenging the results of the Mission mayoral race, in Master Court No. 2 in the Hidalgo County Courthouse on Monday, Sept. 24, 2018, in Edinburg. The stunning decision by Judge J. Bonner Dorsey to void the June 9 mayoral runoff, in which Salinas was unseated after 20 years by Mayor Armando O’Caña, came after nearly two weeks of testimony but just a few minutes after the conclusion of closing arguments. “I cannot ascertain the true outcome of the election,” Dorsey said. “I hold or find, by clear and convincing evidence, that the number of illegal votes was in excess of 158, somewhere in excess of 158. Dorsey said he based his ruling on the bribery of voters, the paperwork of the mail-in ballots and the assistance of voters at the polls. Over the course of the trial, Ricardo “Rick” Salinas, the attorney for his father, Beto Salinas, presented a case accusing the O’Caña campaign of illegally harvesting votes. O’Caña, who will retain his seat as mayor as he appeals Dorsey’s decision, vehemently denied any wrongdoing. Although the judge ruled the runoff void, a new election cannot be called unless the appeals process has been exhausted and unsuccessful. In expressing shock and disappointment by the judge’s ruling, O’Caña echoed similar sentiments by his attorney, Gilberto Hinojosa, who said he had strongly believed the judge would rule in their favor. Rick Salinas said he wasn’t surprised by the outcome. He said he believed the judge was courageous in his ruling considering that there are not many cases such as these, which he feels is due to apathy in prosecuting such cases. However, there was a similar case occurred in Hidalgo County in June 2014, when state District Judge Menton Murray Jr. found that 30 votes were illegally cast in a November 2013 race that separated Weslaco City Commission candidates Lupe Rivera and Letty Lopez by just 16 votes. An appellate court upheld Murray’s ruling — which was being challenged by Rivera, the incumbent commissioner at the time and the defendant in the case — in May 2015. The following September, a Hidalgo County district court set Nov. 3, 2015, as the date for a new municipal election in Weslaco, in which Lopez was victorious by 39 votes. The Mission case started, Salinas said, because voters themselves came into his office to complain. He said he advocated for tightening the election code and that prosecutors from each county be willing to prosecute the cases. 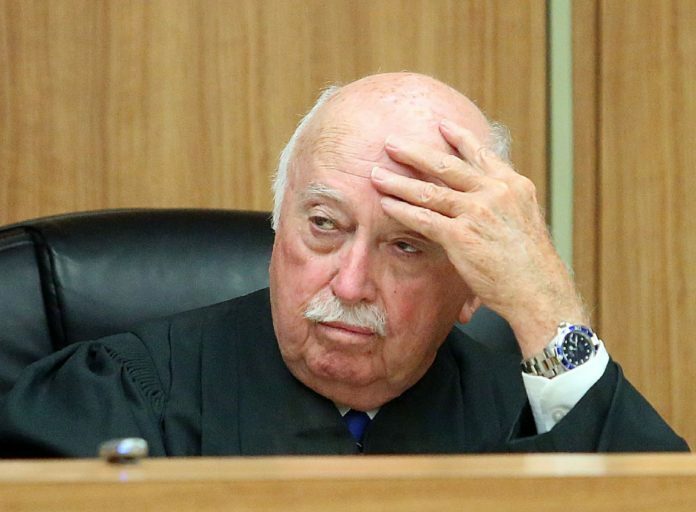 This story was updated to correctly identify the visiting judge as J. Bonner Dorsey.